The United States is dotted with iconic landmarks that symbolize the power and prestige and America. A few will pop right into your head, such as the Statue of Liberty or the Gateway Arch, but there is an icon in the Dakotas that is a testament to human dedication to being great. We are talking of course about the Mount Rushmore National Memorial or Mount Rushmore. Let’s take a look at this landmark including a brief history, where to stay and when to go. The idea of Mount Rushmore came from a South Dakota historian named Doane Robinson. Robinson wanted to create a landmark to encourage more people to visit the Black Hills of South Dakota. They chose the southeast face on Mount Rushmore because of its granite composition and long hours of sun exposure. Many ideas were considered such as heroes of the old west before sculptor Gutzon Borglum settled on portraying the four presidents we see today. Borglum, along with his son Lincoln, started the project in 1927 and continued until his death in 1941. The memorial was meant to portray the presidents’ entire upper bodies but was discontinued in October 1941 due to lack of funding. Now that you know a bit about Mount Rushmore, you need a place to stay. Here are a couple two great areas to consider. Custer’s Gulch RV Park is a beautiful RV park situated in the shady hills of Custer, South Dakota and is just over a half hour’s drive to the Mount Rushmore National Memorial. Custer’s Gulch has full utility hookups, free Wi-Fi, shower and laundry facilities, a clubhouse and RV park standbys like volleyball and horseshoes. There are plenty of activities nearby to while away the time like hiking, biking, fishing, ATVing and much more. The park is close to Custer State Park, Wind Cave National Park and of course Mount Rushmore. The Mount Rushmore KOA has everything you know and loves about the KOA chain of campgrounds. The Mount Rushmore KOA offers you full utility hookups, as well as cable TV and Wi-Fi access. You also have all your typical RV park features such as showers, restrooms, laundry facilities as well as propane fill up, hot tub, pool, bike rentals and even mini golf. You also get to enjoy the family-friendly activities offered by KOA like gold panning, a small water park, live entertainment, movie screenings, horseback rides and more. The site offers a shuttle to the nightly to the lighting of the Mount Rushmore Memorial. The Mount Rushmore KOA is also a short distance from Harney Peak, the Crazy Horse Memorial, and Custer State Park. Summer brings warm temperatures to the Black Hills of South Dakota but it also brings the bulk of the tourists. If you can tolerate the cold or would like to ski, you can visit Mount Rushmore in the winter, but many roads are closed. The optimal time to go, Mount Rushmore, is in the fall, the temperatures are cooler but there are fewer crowds to deal with and foliage of the Black Hills is lovely. Mount Rushmore National Memorial is one of the oldest tests of time for the artistry, stone work, and engineering that went into carving the likeness of each President. Visiting Mount Rushmore is a once in a lifetime experience for Americans and travelers around the world who appreciate the beauty of what Doane Robinson envisioned. 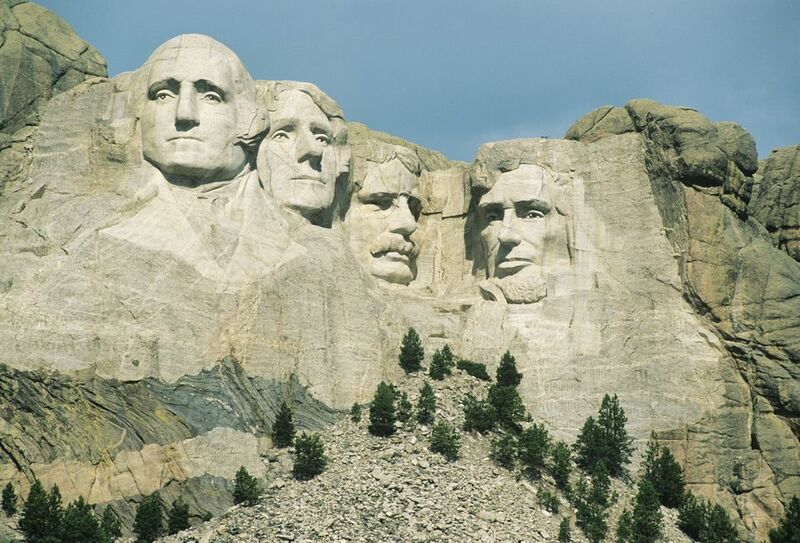 RVing offers the perfect opportunity to visit Mount Rushmore and see the West like never before. So, get out to those hills and see one of the most remarkable feats of sculpting and engineering in the world! The presidents past and present will thank you.